Visitors to this year’s Royal Welsh Show will have the chance to see all the latest machinery from Kubota UK as the company showcases a number of its industry leading groundcare, agricultural and construction solutions. Kubota will be represented on two stands at the show, highlighting its commitment to its customers across Wales. Its groundcare stand (E408) provides the ideal platform for Kubota to launch its new RTV-X1140, a rugged and durable utility vehicle, as well as its new Z122R petrol powered ride-on mower and its L1361 compact tractor. All three new groundcare machines will be making their show debut, giving visitors the chance to get close up to these innovative and high performance solutions and talk to Kubota’s expert team. A host of other market leading groundcare products will also be on display, including a special 0% finance incentive promotion on the Kubota RTV400, RTV500 and RTV-X900. Taking centre stage on Kubota’s Agriculture stand (E353) will be the company’s recently launched implements range, introduced to further strengthen its farm machinery portfolio and add value to the service the company provides the professional farming market. Visitors will also have the opportunity to see Kubota’s flagship M7001 Series (130hp to 170hp) and its M5001 Series (95hp to 113hp). The powerful M7001 Series, available in standard or the premium Kubota Variable Transmission (K-VT), has a number of market leading features like best in class lift capabilities on front and rear linkages (3900kg front and 9400kg rear), excellent visibility with a four pillar cab design, great ride quality with dynamic front suspension and a spacious and well laid out cab to maximise operator comfort and control. Across the four days of the show, Kubota is encouraging young farmers to its stand by offering them the chance to receive an exclusive Kubota gift pack when they show their Young Farmer’s membership card on-stand. Karen Tipping, Kubota UK’s Marketing Manager, said: “As one of Europe’s largest agricultural shows that attracts over 230,000 visitors, the Royal Welsh Show provides the perfect platform to showcase all the exciting new machines in our product line-up. 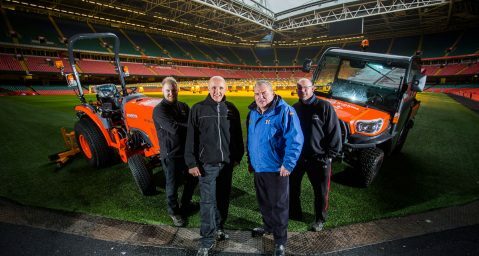 Newport-based Kubota machinery dealer, Ted Hopkins Machinery, has agreed a new supply deal with the Welsh Rugby Union (WRU). 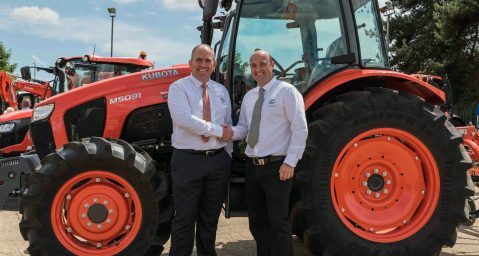 Jonathan Rook has joined Kubota UK as its new agriculture dealer manager. 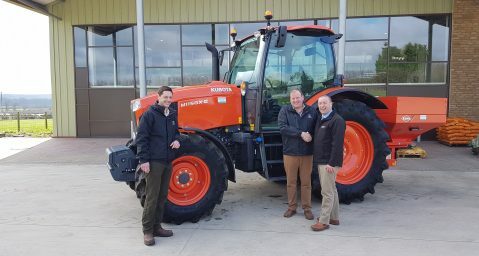 Scarborough-based Hardwick Agricultural Engineers Ltd is reaping the benefits of a more diversified agricultural machinery range, as it becomes part of Kubota’s extensive UK network.